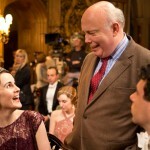 With the Downton Abbey body resting somewhat comfortably in the rear view mirror of a majority of U.S. audiences, the next project from the pen of writer/creator Sir Julian Fellowes is headed to America with the hope that this will bridge time until Victoria grabs the American television hearts when its placed in the coveted Sunday night Downton Abbey slot on PBS in January 2017. The 3-part Julian Fellowes Presents Doctor Thorne is adapted from the 1858 Anthony Trollope novel of the same name and tells the story of the penniless Mary Thorne, the niece of Doctor Thomas Thorne, who grows up with her rich aunt and cousins on the grand Greshamsbury Park estate. Starring Tom Hollander (Rev, Pirates of the Carribean, The Night Manager), Rebecca Front (Humans, Lewis, The Thick of It, War & Peace) and Ian McShane (Lovejoy, Ray Donovan, Pirates of the Carribean, American Gods), the hope is, as it is with EVERY period drama these days, the Doctor Thorne will possess all the touch points that made Downton Abbey the most-watched drama in decades. As the story goes, Mary falls in love with Frank Gresham, the only son and heir of the squire of Greshamsbury and nephew of the Earl and Countess de Courcy, and he with her. However, his parents desperately need him to marry wealth, to rescue them from the financial distress resulting from the squire’s expensive and fruitless campaigns for a seat in Parliament. As Mary is penniless and of ‘low birth’, let’s just say that such a marriage would, no doubt, be frowned upon by his mother Lady Arabella (Rebecca Front) and the de Courcys. Just to ramp up the drama quotient a bit, only the doctor knows that Mary is to inherit a large legacy, one that will make her acceptable to the snobbish middle class of which Frank is a card-carrying member. When the terrifying Lady Arabella Gresham discovers that her darling son, Frank, has fallen in love with Dr Thorne’s penniless niece, she is horrified. Her husband Gresham is only being kept afloat by very favourable loans that Dr Thorne has secured from a railway millionaire, Sir Roger Scatcherd (McShane). However, Sir Roger is drinking himself into an early grave and the family’s financial future lies with his unreliable son Louis Scatcherd (Edward Franklin). Sounds a bit like a Downton Abbey spin-off where the names have been changed to protect the innocent to me. 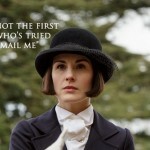 With themes of the social pain and exclusion surrounding illegitimacy, the constant battles with financial distress, the difficulties of romantic attachments outside one’s social class and, of course, throw in the effects of the demon alcohol, Downton Abbey‘s got nothing on the drama of Doctor Thorne. 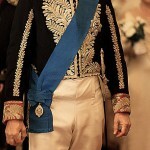 In addition to the talents of Hollander, Front and McShane, the cast of Julian Fellowes Presents Doctor Thorne also includes Alison Brie, (Trudy Campbell in Mad Men), Richard McCabe (Indian Summers, The Great Fire, Peaky Blinders), Phoebe Nicholls (Jonathan Strange & Mr Norrell, Fortitude, Downton Abbey) and Gwyneth Keyworth (Game of Thrones, Misfits). 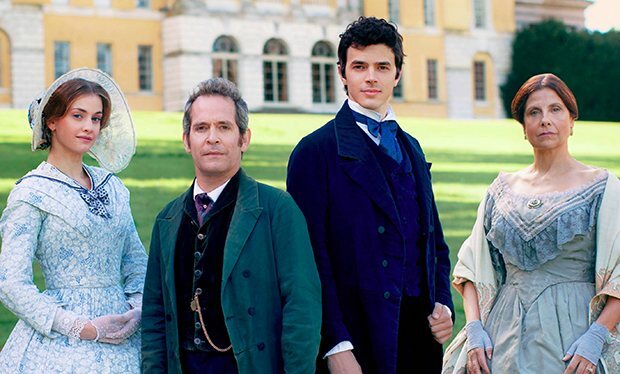 The 3-part Doctor Thorne premieres Friday, May 20 on Amazon Prime. 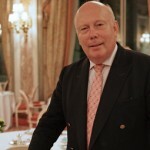 Sir Julian Fellowes thanks fans of ‘Downton Abbey’. Shouldn’t we be thanking him?